Calling Cumbria emerged from a ‘deep dive’ run by the Leadership Centre in February 2007 focused on the leadership of place. A group of leaders in Cumbria wanted to move on from the frustration and sometimes rancour generated by possible local government reorganisation. Under the aegis of Peter Stybelski, chief executive of the County Council, they aimed to make the strategic partnership the doorway to doing more together for the people of Cumbria. The trust shown by this group encouraged the adventure of Calling Cumbria and made it possible. • An exploration of what was wanted and what was possible, through observation and discussion with more than fifty public service partners and community leaders. • Two themed enquiries, each of which brought together forty of these partners and leaders ‘out of uniform’ over three days to connect at high speed on the ground with people who live and work in the county and to reflect on what they learnt. • A large group event of 150 participants from across the public, private and voluntary sectors within and beyond Cumbria which drew on the learning from the enquiries and took those ideas, and their own, a stage further. • Follow-through support so that the new energy was neither dissipated by lack of direction nor drained away by over-engineering. In parallel, the Leadership Centre supported the Cumbria Strategic Partnership and the Public Service Board to make their own way of working more effective so they were equipped to harness the opportunities which emerged from the enquiries and large group event. Calling Cumbria was supported by analysis to quantify the public money going into the county and find out as far as possible what happened to it. 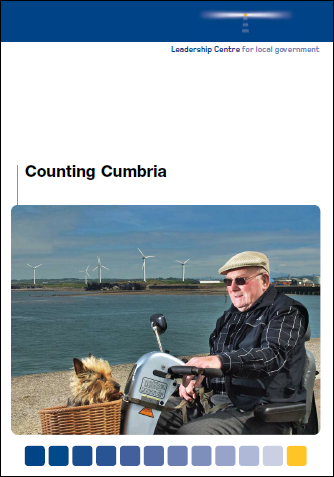 Dubbed ‘Counting Cumbria’, it gave leaders in Cumbria the raw material to process with the new energy and focus they created. 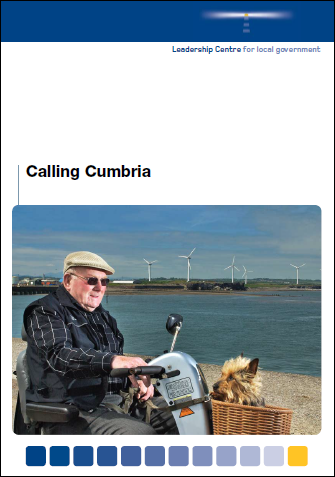 For more details of our work in Cumbria, see the Calling and Counting Cumbria publications.